Do you have one of those days where you want to eat something as to go? Like you're craving for a dessert to cap off your delightful meal yet you're just too busy to do so? How about these cheesecake in a jar where you can bring anywhere you go? A dear friend of mine suddenly posted a picture of a cheesecake in a jar in facebook. Not only it looks adorable with its girly ribbon colors, but just by looking at the picture of the cheesecake in cute little jars is an instant pick-me-upper with every sweet tooth around the corner. 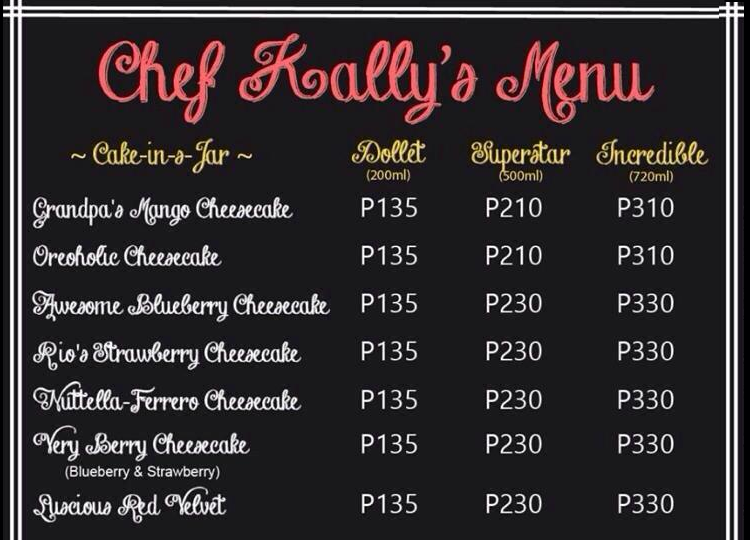 Chef Kally is a home base business that offers cheesecake in a jars and cupcakes for any occasion. 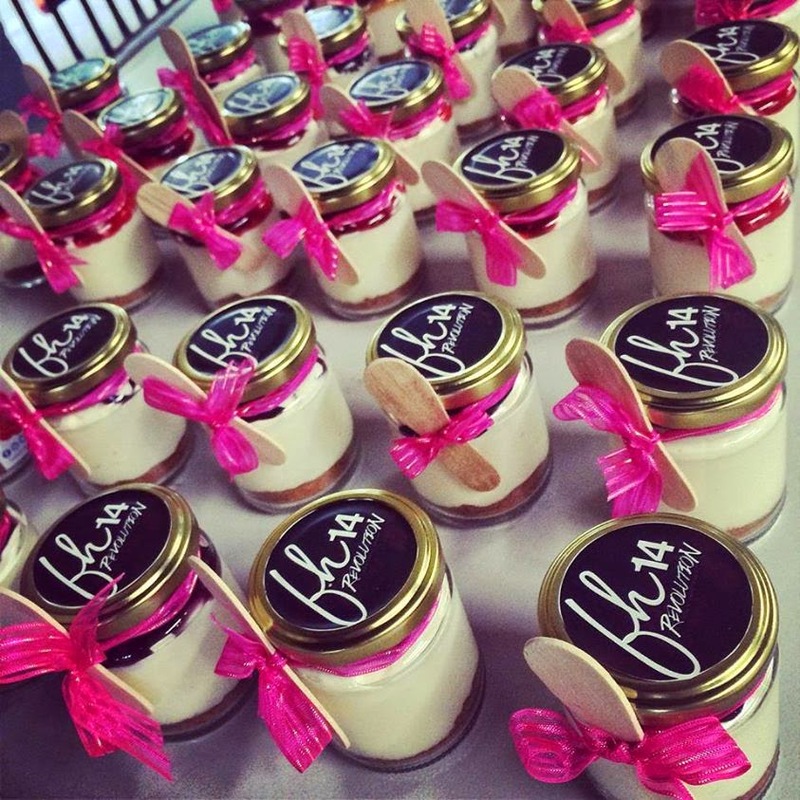 Make sure to try these cheesecake to taste the happiness in a jar! 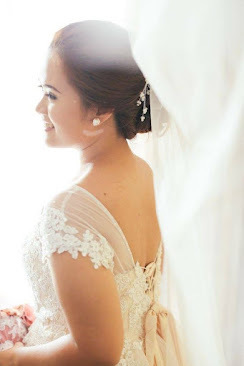 And how do you like my kikay watermark? hahah!